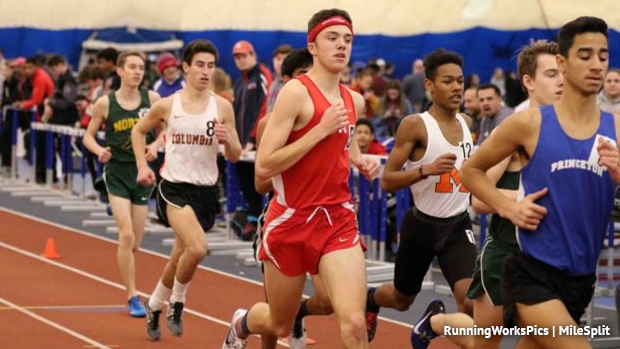 My most memorable race was the 2018 Monmouth County indoor 3200m. The field was stacked with the likes of Troy Hill, Matthew Schaefer, Nick Ackerman, Nick Lundberg, TJ Hillyer, Tyler Schwinn, Matt Lepine, Matt Hartman and many other people who consistently beat me during the cross country season. I knew I would be lucky to even medal in this race. To make matters worse I had a really bad cold and couldn't breathe through my nose. The race was a tactical one and I distinctly remember with 1200m sitting behind Matthew Schaefer and Troy Hill, looking behind to see that the field had strung out, and it was just the three of us that had a chance to win. Hill made his move with 800m to go and I covered it but it left Schaefer in the dust and with 200m to go I had the fastest last lap of my career and won the race by two seconds running 9:36, closing in 29.8. It was the highlight of my high school track career. I would consider my biggest competition over the last four years to be Nick Ackerman. We were teammates in middle school and we worked out together all the time. Even though my first 3 years he really was a lot better than me he was someone I aspired to be as good as one day. This year we had a lot of good races where he beat me in some and I beat him in some. I hope we get to race some more over the next four years. 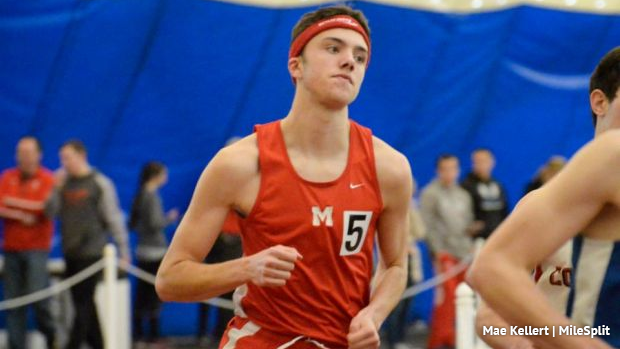 My greatest accomplishment was making the Meet of Champions indoors in the 3200m this year. This was the first time I made MOC and I was in the seeded heat which was really cool. Although it wasn't my best race it was a honor to race with the phenomenal competition in that race. If I could change anything I would've worked harder my freshman and sophomore years. I didn't realize my potential and I slacked off training way too much. The biggest obstacle I had to overcome was getting myself to workout. I really never had any consistent training partner throughout high school and this year especially I had to find it in myself everyday to get out there and do it myself whether it be track workout or a long run. I will miss my teammates the most they always kept it lighthearted. Shout out the Malav Mehta, Zach Edison, Max Eisenman, Jeremie Garcia, Issaiah Brown, Ryan Friedman and to my brother Kyle Spector. Stick with it even through the tough times. You will persevere if you do. My Coach Bob Andrews, was a huge part of not only my running career but my life in general. He made me the man I am today. He was the person who made me realize I could compete on the next level and he made me such a better athlete this year. "Big Bob" and I have about a 30 minute phone call every night to discuss not only the run for the next day but also just about how I am doing with my classes and life in general. I will never be able to repay him for the amount of times he has helped me out through tough times. I will be continuing my education and athletic careers at Rider University where i will be double majoring in Secondary Education and History. First I would like to thank my parents for always doing whatever it took to get me anything and everything I ever needed to become the successful runner I am today. Whether it was buying new trainers or forcing me out the door on Sunday morning to go run my parents have helped make the runner I am today. I would also like to thank Mr. Redmond and Mr. Neill. They helped coach me throughout my high school career and they pushed me to be the best I could be.